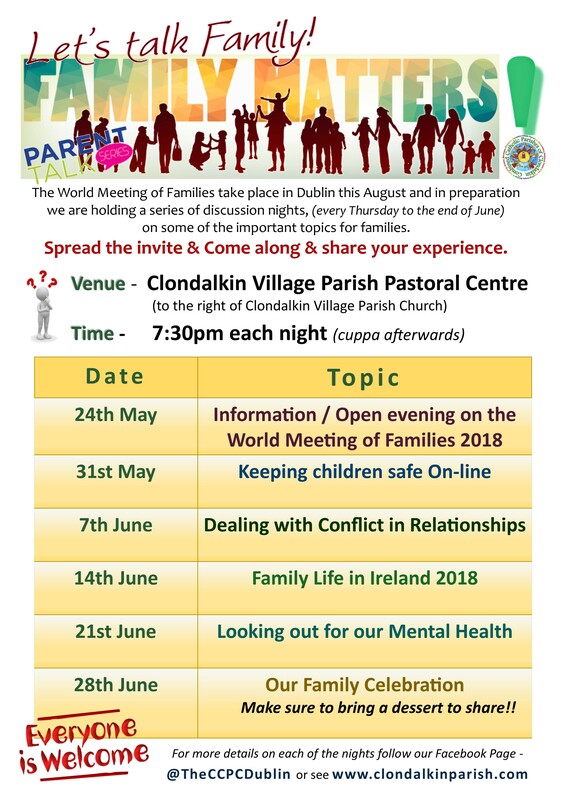 28th June – Our Family Celebration – Make sure to bring a dessert to share!! Please – Spread the invite and come along!! 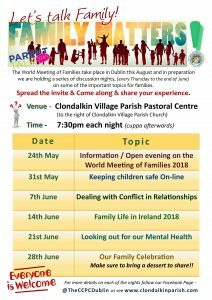 Jigsaw Clondalkin will present a 45 – 60 minute workshop for parents, guardians and other adults interested or concerned about young people’s mental health. learn the value of listening as a way of supporting young people and increase knowledge of the supports available in our area. 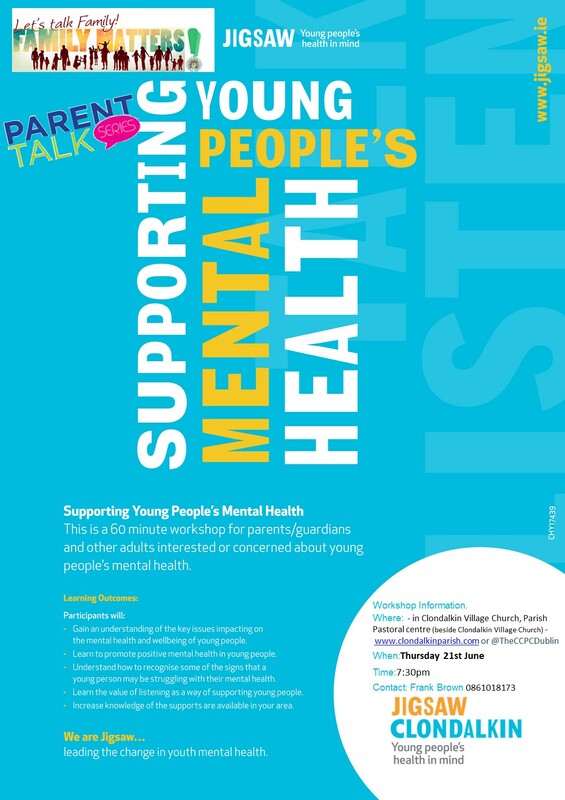 As a area with so many young people we are aware that this is a very important issue, therefore we would encourage as many as possible to attend! !